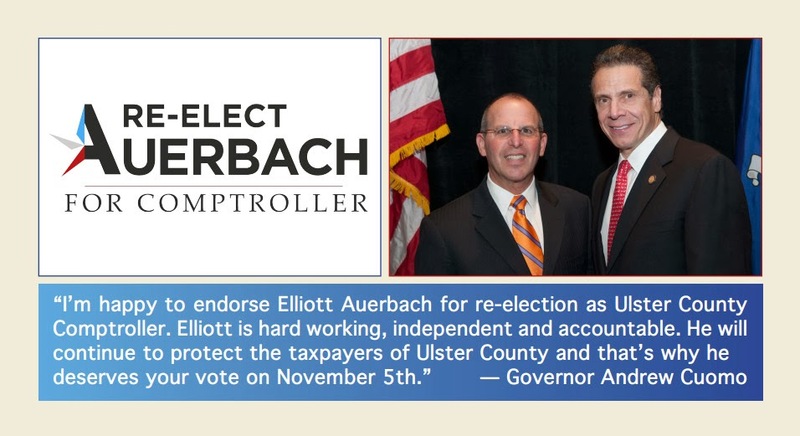 Ulster County comptroller: Re-elected Auerbach to seek 'creative' solutions Working with legislators and the county executive on tax relief, electronic payments and scrutinizing health care and property-tax exemptions are all on the agenda of Ulster County Comptroller Elliott Auerbach as he looks forward to four more years in office. Auerbach, 61, defeated challenger Linda A. McDonough, according to unofficial results. The post is a four-year term and pays $102,000. Auerbach ran on the Democratic and Working Families lines. McDonough, 56, ran on the Republican, Conservative and Independence lines. “I think I have built a trust with the residents of Ulster County,” Auerbach said. “I think they appreciated the fact that we are out there on a daily basis looking out for their interests.” One area on which Auerbach plans to focus is allowing the county to pay vendors and employees electronically. The move would save time and money, he said. Also on Auerbach’s agenda is exploring new ways of raising revenue, which he said would reduce the need for property taxes. Home foreclosures in Ulster spurred this initiative, he added, which he plans to address with the county executive and Legislature. “We need a creative way to fund local government,” he said. As far as auditing, a pivotal role of the Comptroller’s Office, Auerbach said he will be targeting recipients of health care benefits and tax-exempt properties. 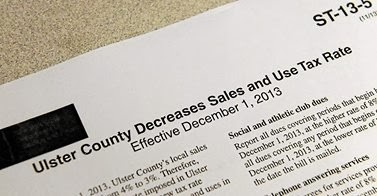 “Our thrust going forward is to ensure the efficiency, effectiveness and economy of Ulster County government,” Auerbach said. John W. Barry: jobarry@poughkeepsiejournal.com, 845-437-4822; Twitter: @JohnBarryPoJo. IN A MAILBOX NEAR YOU! My office has built a reputation on what we have accomplished with our continual commitment to be the "watchdog" for the 184,000 residents of Ulster County. 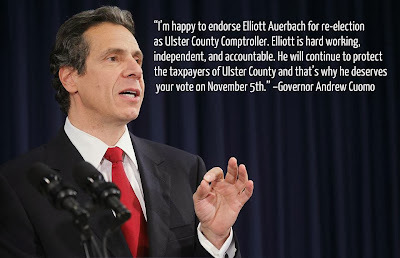 I appreciate both the support from Governor Andrew Cuomo and his commitment to rebuilding New York State by creating thousands of new construction and permanent jobs, providing additional annual funds for our kids' schools and reducing property taxes for seniors and working families through his efforts behind Proposition #1. Please Vote YES for NYS Gaming Amendment Having the full support of Governor Andrew Cuomo for my re-election bid is a true testament to all the work my office has done in establishing the office of the Comptroller and keeping a watchful eye on our tax dollars. I thank the Governor for his leadership and his dedication to establishing a "New" New York.